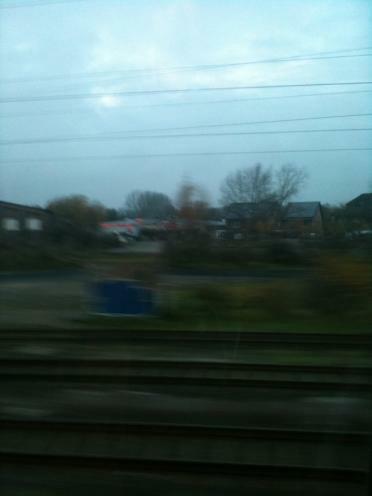 Train just taking off from haltern am see. Just said goodbye to Nic. It's crazy. We are all seperated again. I'm travelling alone again. It's hard to process in my head. Had a bit of a stressful trip to the airport. I forgot to tick no ice trains when I looked up how to get there. So my plan used the ice train. I decided to just get on and hope it would be ok. I didn't end up getting checked til just before we got to the airport I figured I would get there eitherway by then. I'm not sure if I was suppost to hav a reservation because when I was cheacked another lady started arguing with the controller about something. And she never really cheacked me. I finally got to the airport where I was hoping to use some wifi. But there was no free wifi anywhere. I couldn't find a computer either. So now I'm a bit worried cause I don't hav directions to my hostel. But I'll work it out when I get there I guess. I would Also need to put some Money on my card. Any way I'm excited to be going to Tokyo. It's pretty far yet tho!